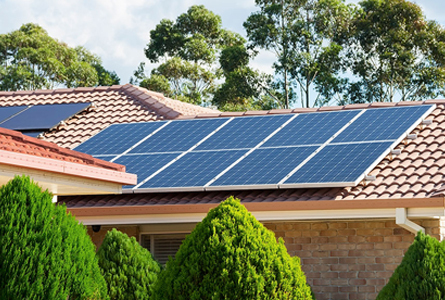 Brisbane solar panel offers residential solar system and commercial buildings by supporting the installation of photo voltaic solar systems, as well as the possibility of financing (subject to eligibility). Brisbane solar Panel’s team of consultants helps corporate executives structure the expense so that no member of the company needs to make additional investments, since the EMI credit can be redeemed through savings on energy bills. Solar energy is ecological, safe and abundant. It is also much better for the environment and can help offset energy costs. Brisbane Solar Panel offers homeowners in many countries solar panels covering a variety of construction applications with different system sizes of 1.5 kW (CS1500), 3.0 kW (CS3000), 5.0 kW (CS5000) and 10 kW (CS10000). We also offer customized solar kits for special requirements. We explain solar technology and how you can maximize your roof space. Then we determine your energy needs to determine the perfect size and technology for you. Having identified the right system for your energy needs, we designed it on your roof or floor to obtain maximum performance and aesthetics throughout the year. It is important to get the correct approval for your home. We receive all network approvals and discounts to ensure a simplified transition to your energy independence. On the day of installation, your solar modules will be ready within 4 to 8 hours. After completion, we explain how the system works, how it is controlled and how it is switched on and off. Reducing country’s dependence on foreign fuel, making solar power the patriotic choice.